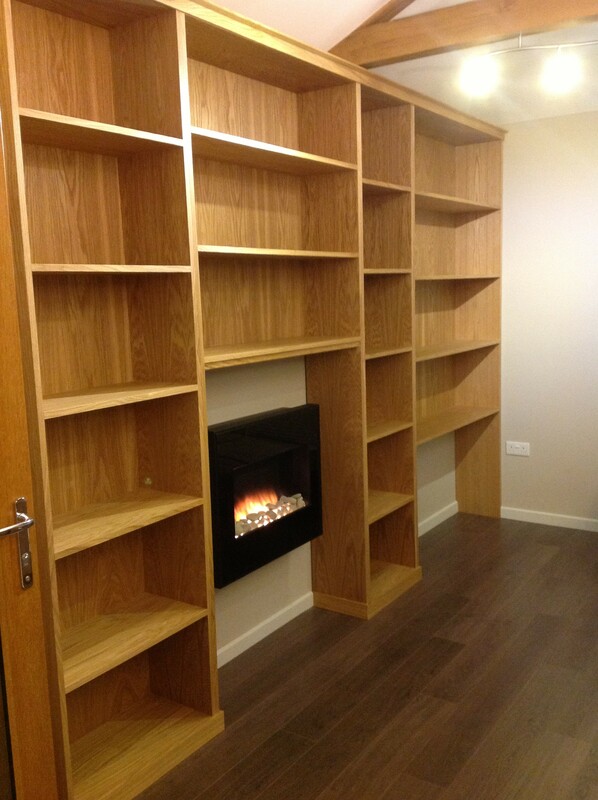 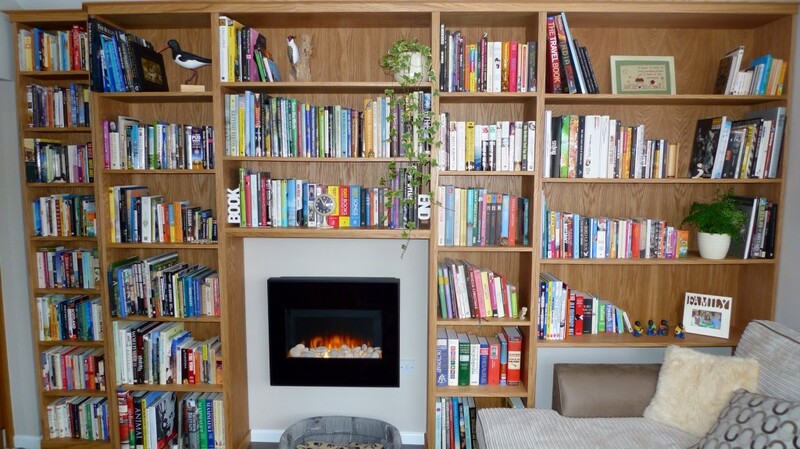 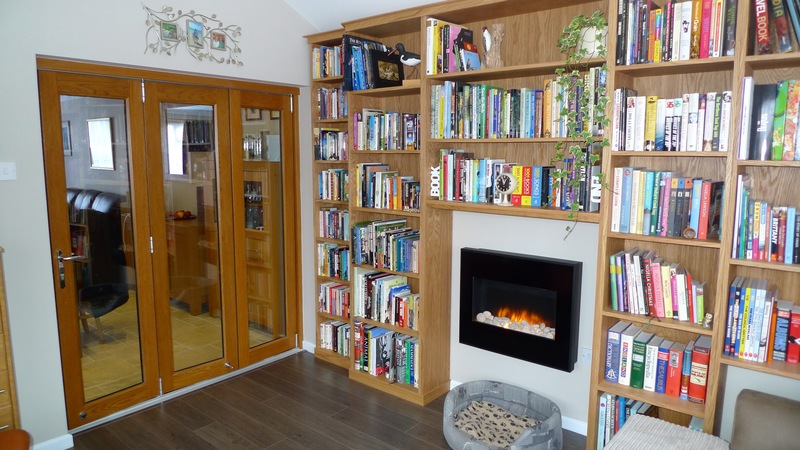 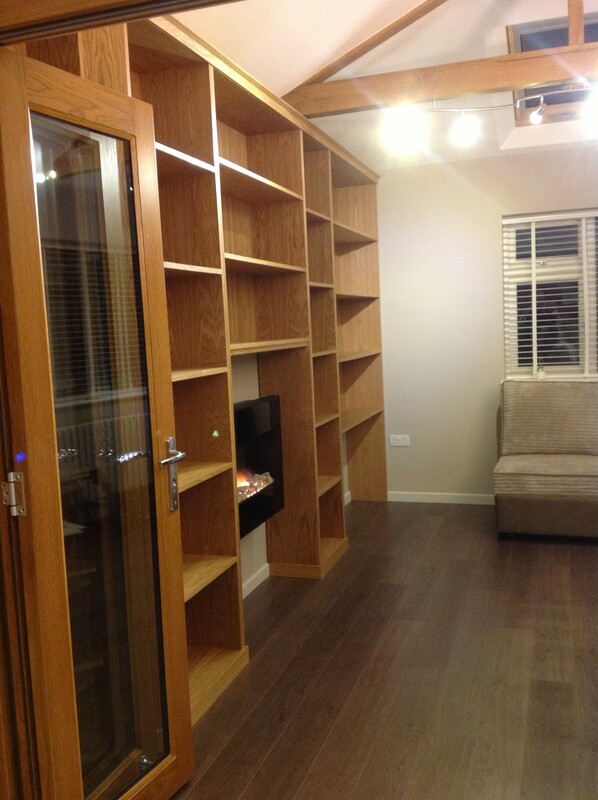 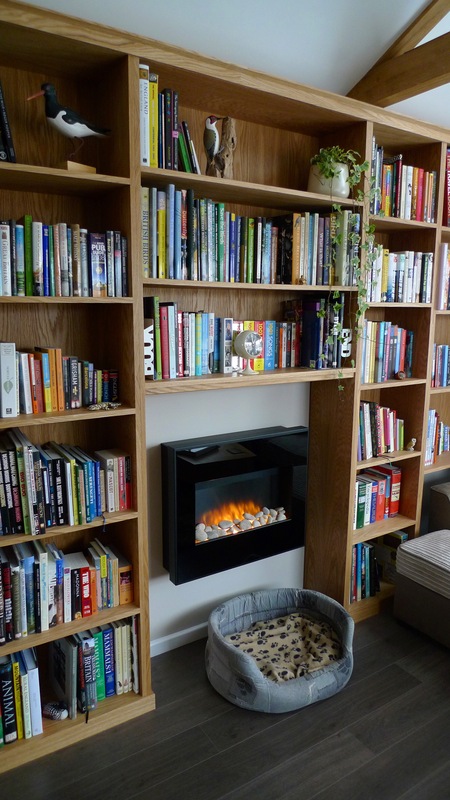 The client was having a conservatory built and wanted a modern oak bookcase to compliment his existing furniture and give a large amount of storage for his expanding book collection. On the same wall he also wanted to fit a modern fire place and have room for the arm of his sofa to be housed into the bookcase to make this the ideal place to relax and read. 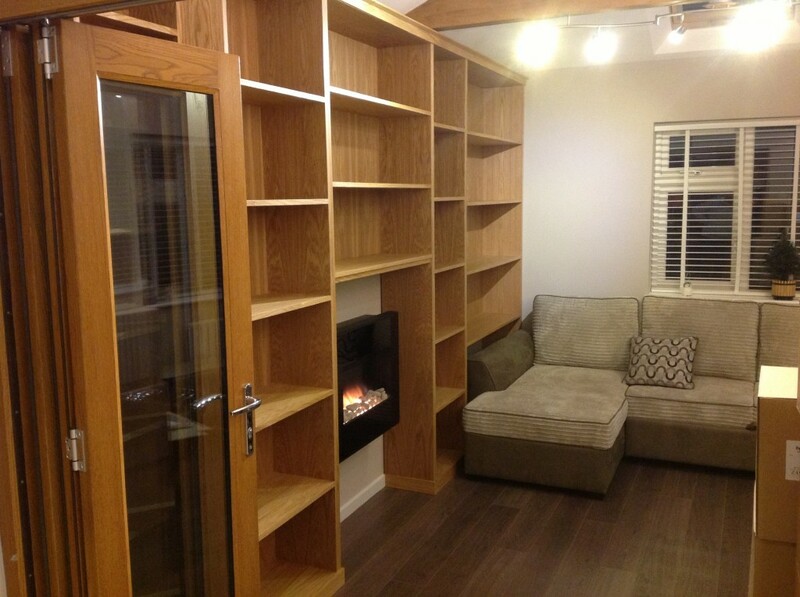 The outcome was perfect and the fire place and sofa fitted a treat.